Your name and phone number so I can verify the picture. 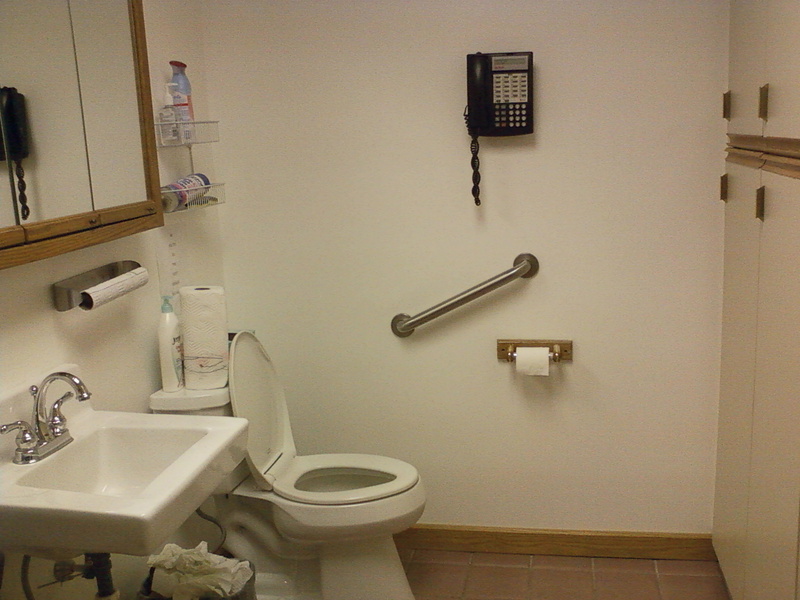 Where the picture was taken. What title you might like on the picture. 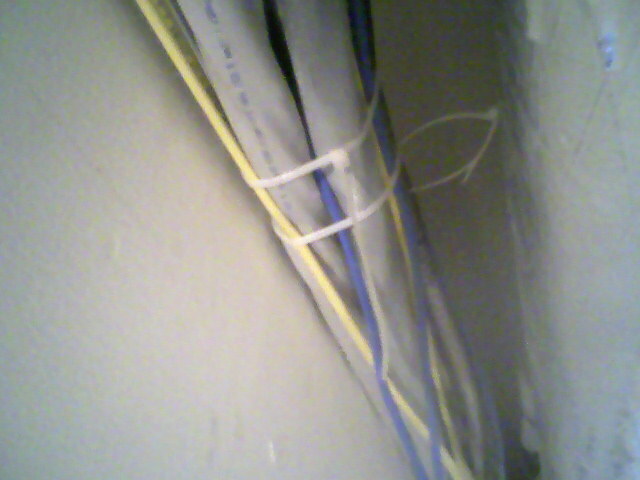 The blue data cables are zip-tied to gray 240 volt electrical cables. The electro-magnetic interference (EMI) from the electricity will stop any data from being transmitted! 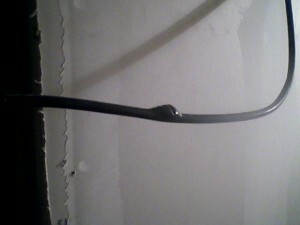 A plumber's torch bubbles the insulation on a TV/coax cable. As the TV commercial says, "Really???"